The perfect tool for managing IEM (“ears”) mixes – this piece is a well-thought-out and deftly-executed bit of engineering magic packaged into a 1RU box. 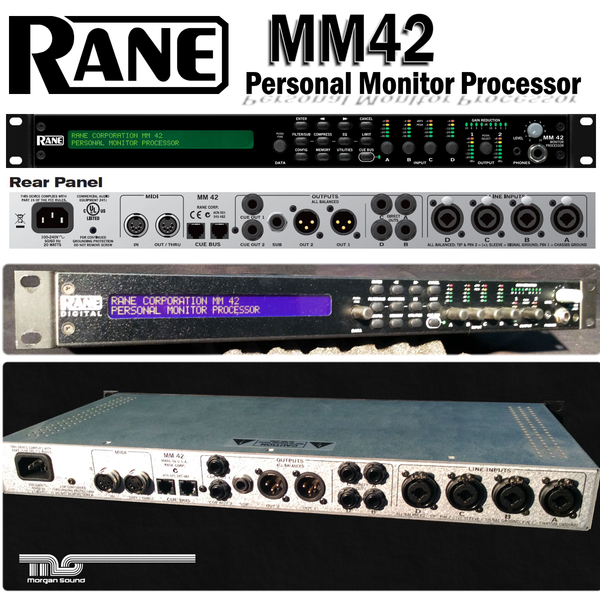 Connecting in-line between a mixing console and a wired or wireless monitor system, the Rane MM 42 processes a single stereo mix or two independent mono mixes using shelf/cut filters, 3-band compressor,5-band parametric EQ and 3-band peak limiter. 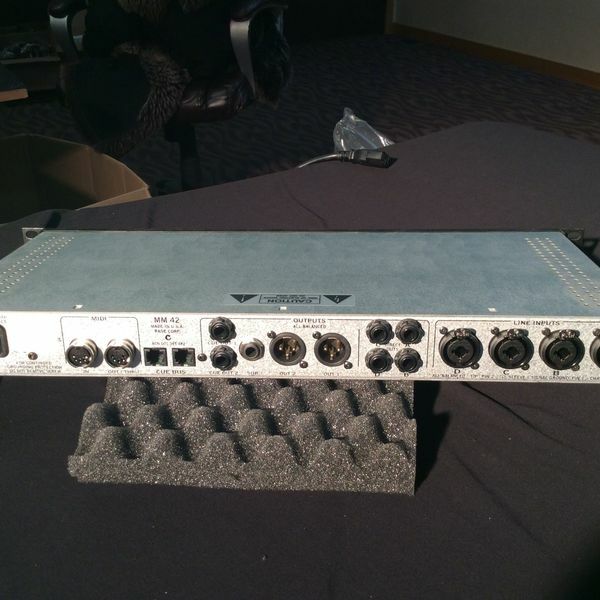 An assignable sub (low-frequency) output with adjustable bandpass filter is included for direct connection to powered subwoofers or bass“shakers” without requiring an external crossover. The onboard headphone amp (1/4-inch and 1/8- inch jacks) and Cue Bus functionality permit easy setup and monitoring of multiple mixes. 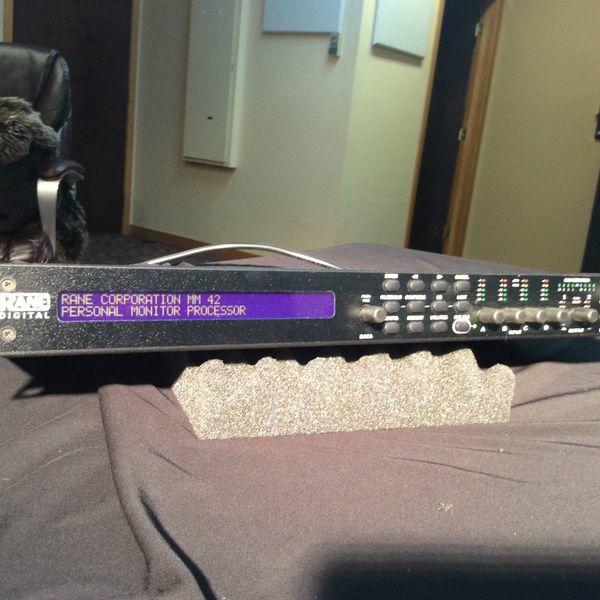 Other features include line-level cue outputs for feeding spare transmitter or return to monitor console; direct outputs allow distribution of common mixes to multiple devices, requiring fewer aux sends on console; Neutrik 1/4-inch- to-XLR combo jacks connect to all console aux/group output types; and device control and firmware updates via MIDI.